(Zaman Al Wasl)- Qasem Soleimani, the Commander of Iran's al-Quds Corps, has used to stay in a heavily-guarded building in Mezzah, the western district of Damascus, Intelligence source told Zaman al-Wasl. Satellite images show the locations of Iranian militias. At the road of People’s Palace, Soleimani and the senior Iranian and Hezbollah commanders have been settled where members of the Syrian Republican Guards, Hezbollah and fellow Shiite militants are stationed. Mag. Gen. Soleimani has led Quds Force since 1998 where the Revolutionary Guard’s a division is responsible for extraterritorial military and clandestine operations. Also, well-informed military sources told Zaman al-Wasl that Iran is building new missile facility near Damascus in a base controlled by Maher al-Assad, Bashar's brother, and the de-facto commander of the elite Fourth Armored Division. The construction of the secret hangars has begun under supervision of Iranian military experts. Iran seeks to produce and develop its mobile short-range ballistic missile, Burkan-2H, or Volcano-2H. Also, to produce Golan missiles, according to the source. The last version of Golan 1000 with a 450 kg weight shell. Fresh satellite images of the Iranian site northwest of Damascus showed the construction of huge long hangars. Maher al-Assad, on contrary to his brother, has showed a blindness loyalty to Iran where most of its military personnel and allied militias, especially Hezbollah under the protection of the Fourth Division in Syria. 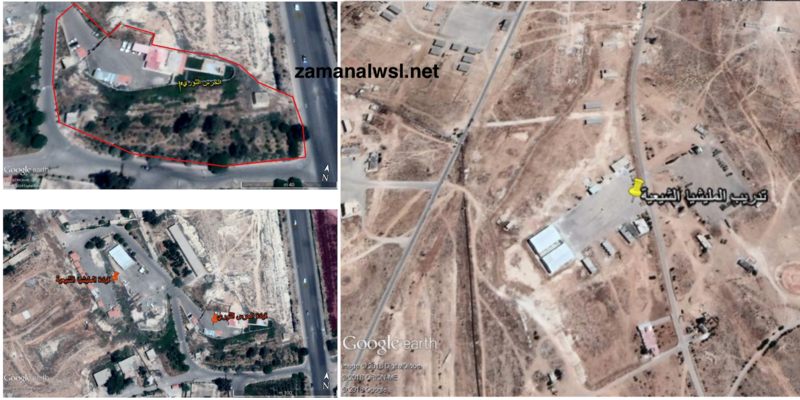 The Assad regime has started the construction of missile facilities hit by Israel in 2018. The Iranian regime spends an average of $10-12 billion in Syria annually, while the annual support afforded by the government to Iranian citizens is approximately $8 billion, reports say.